"Orphans of the Storm" (1921) is a historical drama directed by D. W. Griffith and starring Lillian Gish. This film illustrates the work of our star cinematographer Billy Bitzer. 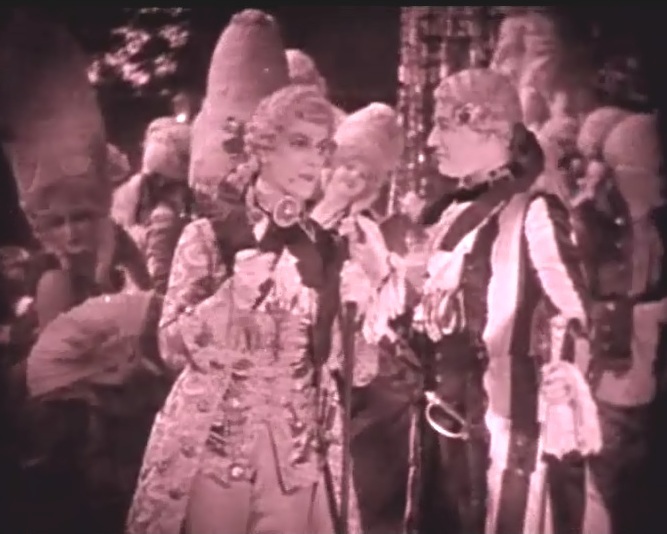 The events in the film occur before and during the French revolution of 1789, which was caused by the extreme societal inequalities, with aristocracy enjoying unlimited privileges and the common people deprived of human rights and often doomed to starvation. A young woman with an aristocratic background becomes the victim of her own kin. After she marries a "commoner" her "noble" relatives decide to save the family honor from disgrace by performing a very ignoble act - murdering her husband and taking her baby daughter away from her. The baby by the name of Louise (played by Dorothy Gish) is left in the street, but is lucky to be saved from freezing to death by a poor man. 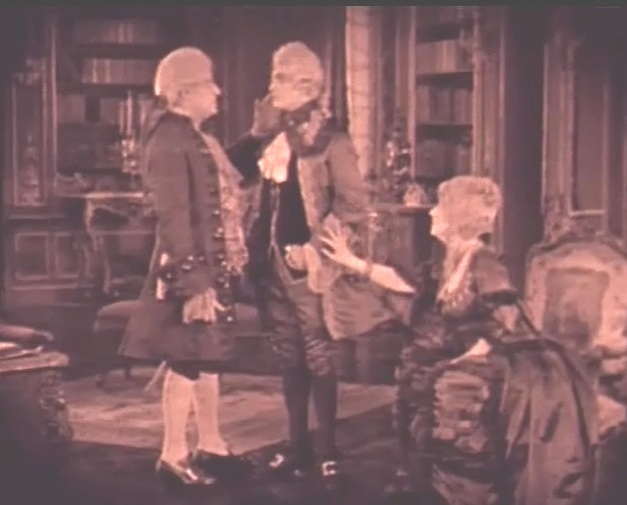 He raises Louise together with his daughter Henriette (Lillian Gish). After their parents die the two sisters are raised in the north of the country. A plague causes Louise to lose her eyesight and she becomes fully dependent on her sister. Later on as young ladies they decide to make a trip to Paris to repair Louise's vision. The big city is very unkind to them. A lustful aristocrat kidnaps Henriette and Louise is left alone and helpless. She quickly becomes the victim of an evil woman, who makes her sing and beg for money in the streets. At the same time Henriette is taken to the nobleman's palace. She is only saved from his orgies by a young aristocrat with compassion for common people. After that she fruitlessly searches for her sister Louise. 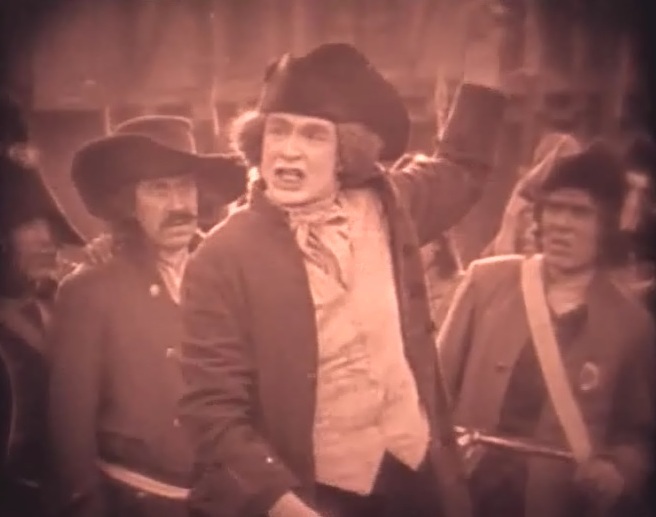 On the verge of the revolution its main leader Danton is chased by the king's secret service. He is wounded, but manages to escape, finding himself in Henriette's home. She nurses him back to health, but the incident is used against her by the city's police chief. He wants to prevent her marriage to the young nobleman, his nephew, by sending her to jail and him to exile. By that time commoners led by Danton storm the Bastille and in the ensuing chaos and terror Henriette and her man are arrested and sentenced to die on the guillotine. 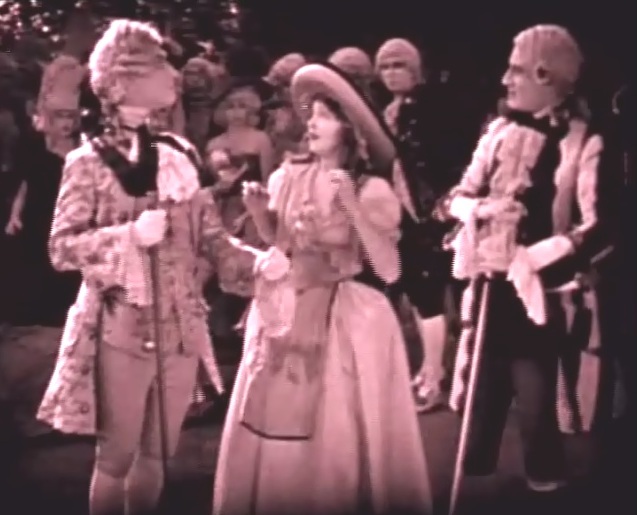 The film is ranked number 57 in the list of The Top 100 Silent Era Films of the influential website Silent Era. It has an excellent rating in IMDB. Lillian Gish tells her sister Dorothy that she lost her vision in "Orphans of the Storm" (1921), directed by D.W. Griffith, cinematographer Billy Bitzer. Lillian Gish cares for her blind sister Dorothy in "Orphans of the Storm" (1921), directed by D.W. Griffith, cinematographer Billy Bitzer. 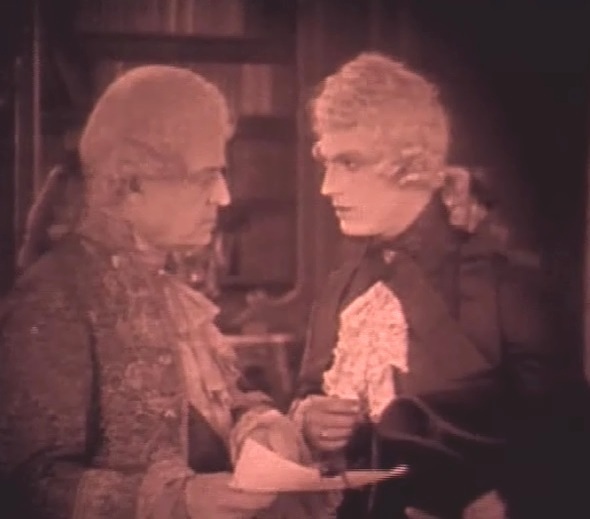 Joseph Schildkraut is a good aristocrat in "Orphans of the Storm" (1921), directed by D.W. Griffith, cinematographer Billy Bitzer. Morgan Wallace is a bad aristocrat in "Orphans of the Storm" (1921), directed by D.W. Griffith, cinematographer Billy Bitzer. Morgan Wallace the lustful aristocrat makes advances at Lillian Gish in "Orphans of the Storm" (1921), directed by D.W. Griffith, cinematographer Billy Bitzer. Morgan Wallace the lustful aristocrat arranges the kidnapping of Lillian Gish in "Orphans of the Storm" (1921), directed by D.W. Griffith, cinematographer Billy Bitzer. Joseph Schildkraut and Morgan Wallace like to party in "Orphans of the Storm" (1921), directed by D.W. Griffith, cinematographer Billy Bitzer. Lillian Gish is kidnapped and the blind Dorothy is left alone in "Orphans of the Storm" (1921), directed by D.W. Griffith, cinematographer Billy Bitzer. Joseph Schildkraut and Morgan Wallace cross words for Lillian Gish in "Orphans of the Storm" (1921), directed by D.W. Griffith, cinematographer Billy Bitzer. 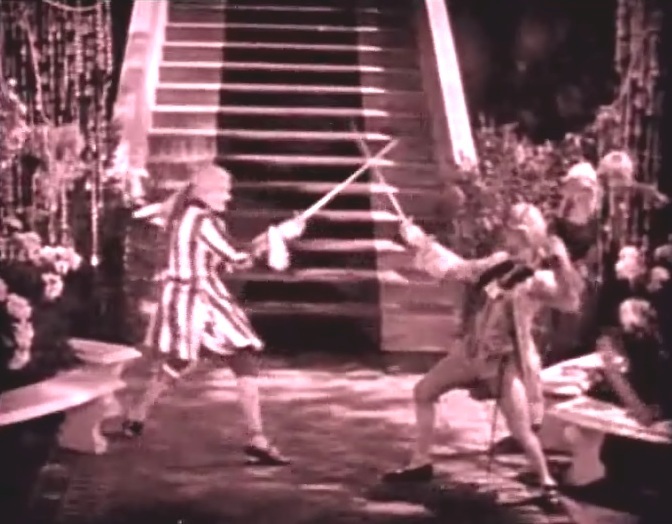 Joseph Schildkraut and Morgan Wallace cross swords for Lillian Gish in "Orphans of the Storm" (1921), directed by D.W. Griffith, cinematographer Billy Bitzer. Lillian Gish and Joseph Schildkraut fall in love in "Orphans of the Storm" (1921), directed by D.W. Griffith, cinematographer Billy Bitzer. 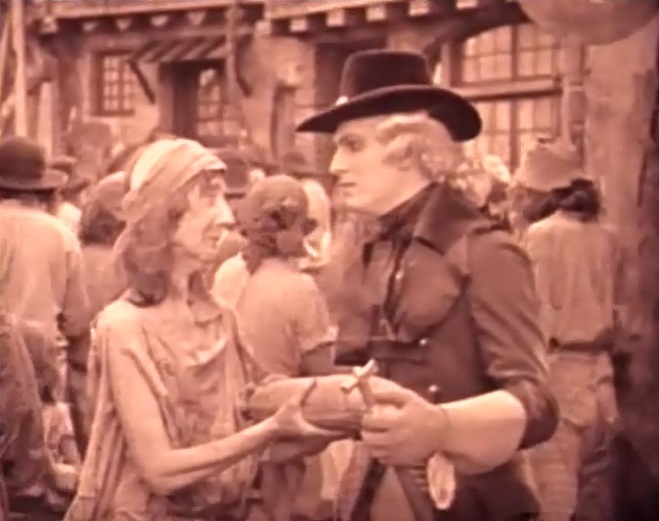 Lillian Gish meets Monte Blue (Danton) in "Orphans of the Storm" (1921), directed by D.W. Griffith, cinematographer Billy Bitzer. 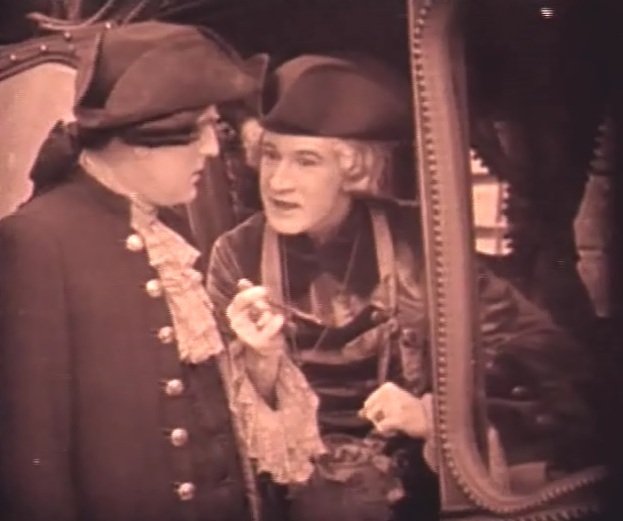 Joseph Schildkraut is confronted by his uncle about his affair with a "common" woman in "Orphans of the Storm" (1921), directed by D.W. Griffith, cinematographer Billy Bitzer. Lillian Gish helps Monte Blue recover in "Orphans of the Storm" (1921), directed by D.W. Griffith, cinematographer Billy Bitzer. Dorothy Gish is forced to beg in the cold in "Orphans of the Storm" (1921), directed by D.W. Griffith, cinematographer Billy Bitzer. 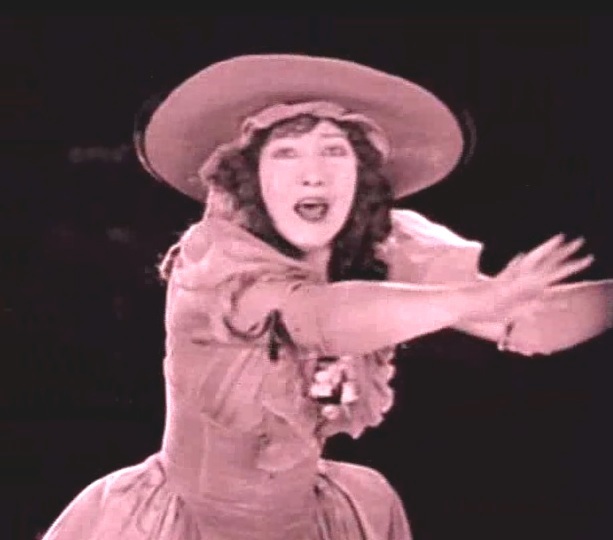 Dorothy Gish, forced to beg, is not recognized by her mother in "Orphans of the Storm" (1921), directed by D.W. Griffith, cinematographer Billy Bitzer. Joseph Schildkraut is given an ultimatum - either to marry a woman he does not love or to be sent to exile in "Orphans of the Storm" (1921), directed by D.W. Griffith, cinematographer Billy Bitzer. 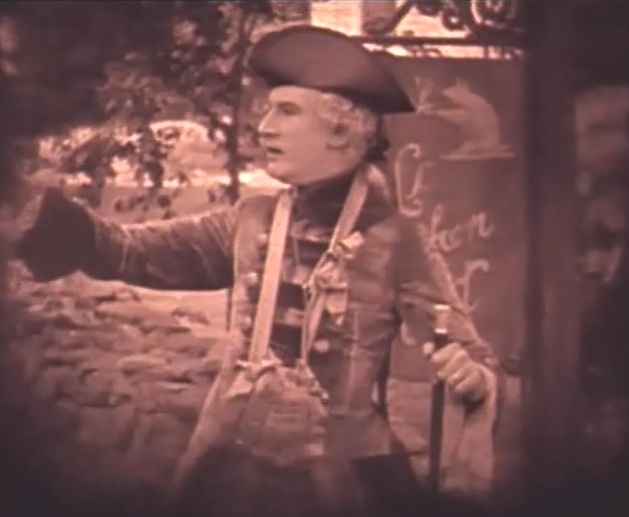 Monte Blue leads the uprising of the masses in "Orphans of the Storm" (1921), directed by D.W. Griffith, cinematographer Billy Bitzer. Monte Blue leads the assault on the Bastille in "Orphans of the Storm" (1921), directed by D.W. Griffith, cinematographer Billy Bitzer. Lillian Gish and Joseph Schildkraut are arrested and later sentenced to die in "Orphans of the Storm" (1921), directed by D.W. Griffith, cinematographer Billy Bitzer. Lillian Gish, before being taken to die, is recognized by Monte Blue as the woman who nursed his wounds in "Orphans of the Storm" (1921), directed by D.W. Griffith, cinematographer Billy Bitzer.